Age: circa 1885, Serial No. 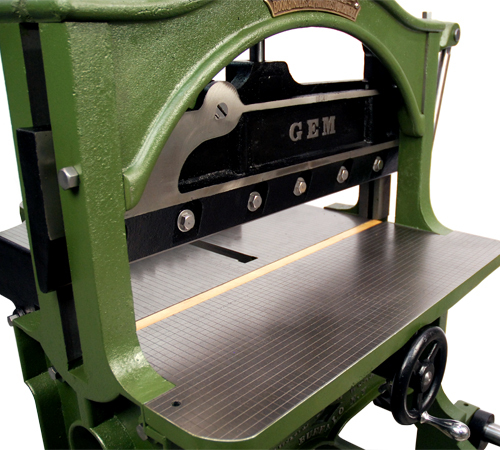 1914, Cutting width: 30"
We derived our name from this old established manufacturer of machinery in Buffalo, NY. 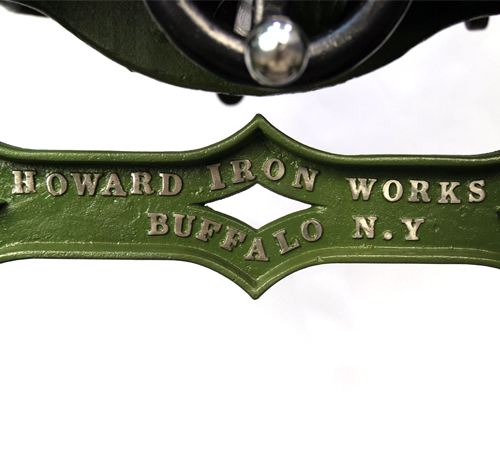 Howard Iron Works established in 1847, was known for many products such as fire hydrants, vices, bolt making machinery and even paper cutters. 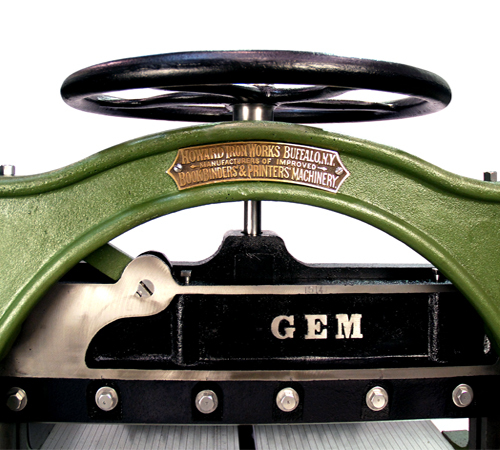 The most famous of which was the GEM. 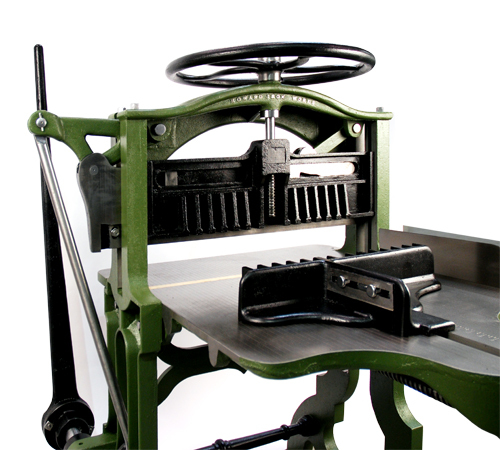 This machine was a manual hand lever design. That meant one would have to use brute force pulling on a large cast iron lever in order to bring the blade down. 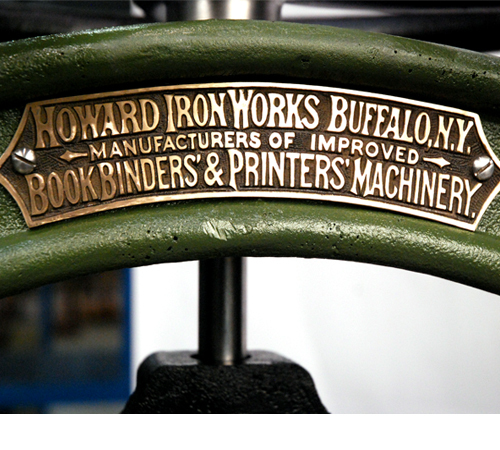 During the mid to late 1800’s, Howard Iron Works (Buffalo) produced hundreds of GEM manual guillotines, as well as motorized versions. 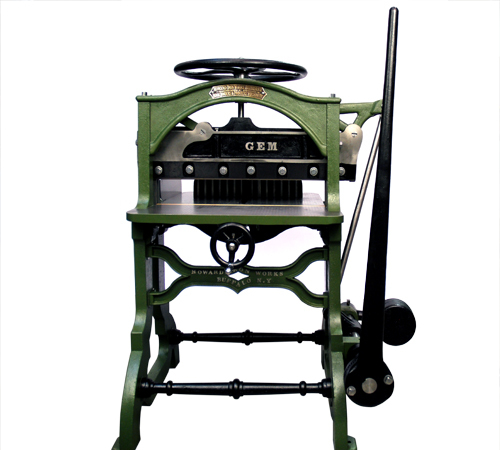 Our machine, emblazoned with a large brass plate as well as cast letters on front and back of the machine, has been completely restored to look just as it did leaving the factory in the mid 1880s.